Last night, Mike Hllywa (Gammons Daily, Halo Hangout) and M.J. Lloyd (Baseball Prospectus, Off-Base Percentage) and I hung out in our virtual bar and talked some baseball for an hour. We rolled out the new name of the podcast, A Bat Flippin’ Good Time; and that’s what we had damnit! 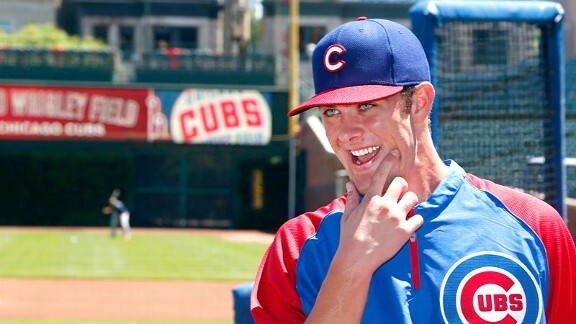 The Cubs’ young nucleus and bright future (and MJ’s bromance for Kris Bryant). Thoughts on Bryce Harper’s present, future, and the Washington Nationals. Mike H’s trip to Anaheim for a perfect day of baseball for his son’s first game. Pop Culture Segment: The Teenage Mutant Ninja Turtles Movie, Breaking Bad, and more.